Some says that the Dom Pérignon cuvée is the ultimate champagne wine. And in a way, it's perfectly true. Dom Pérignon is the flagship wine of the Moët & Chandon House, it is made from a blend of Chardonnay and Pinot Noir. Champagne Moët & Chandon Dom Pérignon 1966 is adorned in an intense yellow/gold dress. It is traversed by fine scattered bubbles. The nose of Dom Pérignon 1966 distils a pure freshness and an incredible aromatic range full of vegetable fragrances as well as some spices such as white pepper. On the palate, Champagne Moët & Chandon Dom Pérignon 1966 offers a powerful and immediate attack, distilling aromas of white and exotic fruits, ripe pears and juicy mangoes. Quickly tertiary aromas (ginger and aniseed) are revealed on the palate and mingle with the fruit to deliver a delicious, ripe and particularly long finish. 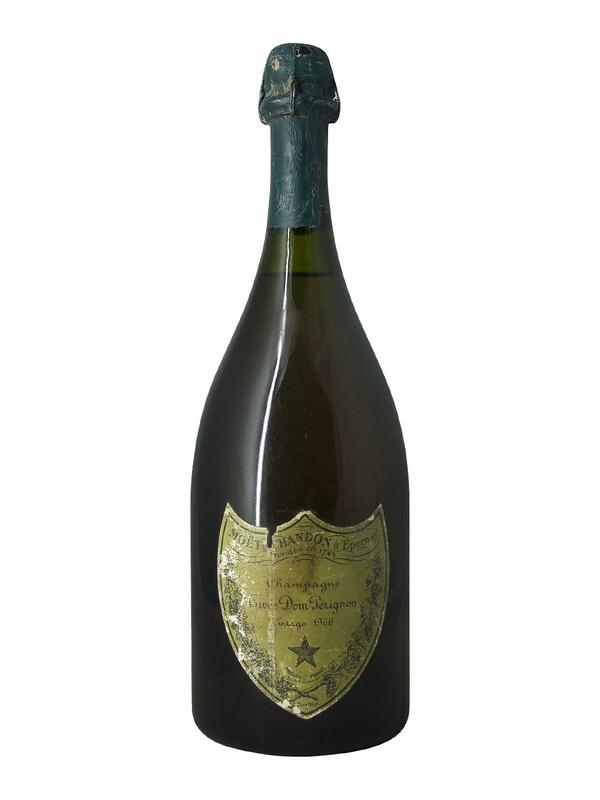 This Champagne Moët & Chandon Dom Pérignon 1966 has definitely not taken a wrinkle!